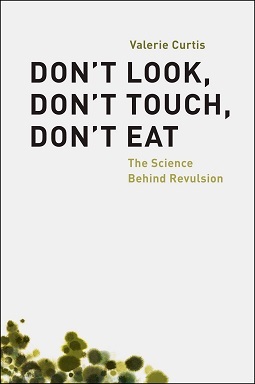 Our free e-book for May, Valerie Curtis’s Don’t Look, Don’t Touch, Don’t Eat: The Science behind Revulsion, considers the narrative history and scientific basis behind the psychology of disgust. Every flu season, sneezing, coughing, and graphic throat-clearing become the day-to-day background noise in every workplace. And coworkers tend to move as far—and as quickly—away from the source of these bodily eruptions as possible. Instinctively, humans recoil from objects that they view as dirty and even struggle to overcome feelings of discomfort once the offending item has been cleaned. These reactions are universal, and although there are cultural and individual variations, by and large we are all disgusted by the same things. In Don’t Look, Don’t Touch, Don’t Eat, Valerie Curtis builds a strong case for disgust as a “shadow emotion”—less familiar than love or sadness, it nevertheless affects our day-to-day lives. In disgust, biological and sociocultural factors meet in dynamic ways to shape human and animal behavior. Curtis traces the evolutionary role of disgust in disease prevention and hygiene, but also shows that it is much more than a biological mechanism. Human social norms, from good manners to moral behavior, are deeply rooted in our sense of disgust. The disgust reaction informs both our political opinions and our darkest tendencies, such as misogyny and racism. Through a deeper understanding of disgust, Curtis argues, we can take this ubiquitous human emotion and direct it towards useful ends, from combating prejudice to reducing disease in the poorest parts of the world by raising standards of hygiene. Don’t Look, Don’t Touch, Don’t Eat reveals disgust to be a vital part of what it means to be human and explores how this deep-seated response can be harnessed to improve the world. To download your free copy (through May 31) of Don’t Look, Don’t Touch, Don’t Eat, click here.